World leaders and social media users alike echoed their condolences Friday evening after news of Egypt’s deadly terror attack spread across the globe, prompting many to show their support for the nation and denounce the assault. 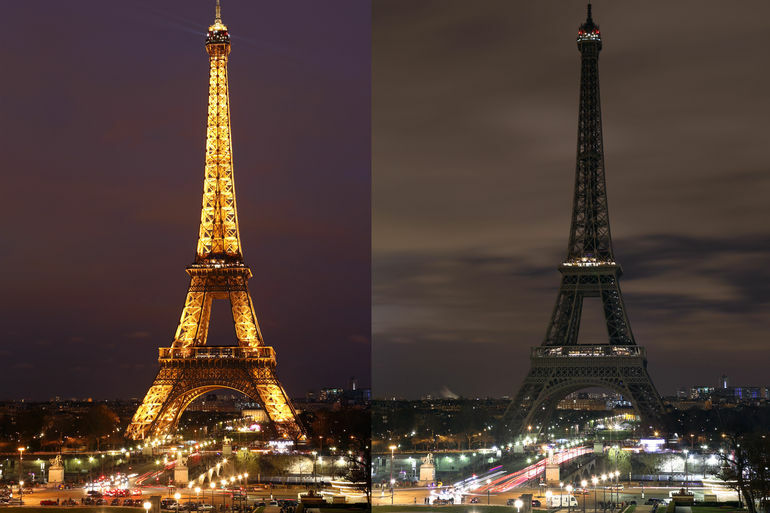 According to a Twitter post by Paris’ Mayor Anne Hidalgo, the lights illuminating the Eiffel Tower will go dark at midnight in solidarity with Egypt and the victims of the Friday morning attack that saw 305 people killed in North Sinai’s Rawda mosque. In her Tweet, she shared her sorrow at the state of extremist-related terror by which Paris has also been afflicted in recent years. She stated that she hopes to express her “support to the people wounded” and extend her “condolences to the victims’ families” by turning off the famed attraction’s lights as a show of solidarity. As an all-black photo with white text simply stating “Pray for Egypt” began to spread on social media, users in the grief-stricken nation and throughout the world responded with sympathy for the victims of Friday’s devestating attack. I’m actually speechless. There are well over 200 casualties and it’s only been 1 hour since the blast. Egypt is a Muslim country. The people affected are Muslims. A reminder that terrorism has no religion. The news of the attack in Egypt is devastating. I am without words to express my deep sorrow. Terrorism affects us all, every color, every creed, every faith. My heart aches for the families and loved ones of the victims of this senseless act. The thoughts of everyone at Liverpool Football Club are with all those affected by the tragic events in Egypt today. YNWA. After false reports of gunshots at a busy London train station during the Black Friday shopping rush started to go viral, some even used the overreaction to a “fake terror attack” in the British capital to bring the spotlight back to Egypt and express their anger at the media. Don’t let the Oxford Circus situation distract you from the fact that over 200 people died in Egypt today. There were more that 230 people killed in Egypt today. The events in #OxfordStreet are worrying, however nothing has been officially stated. We need to worry about fact not fiction at this moment in time. Leave fiction to Facebook. The Oxford street incident gets more media coverage than 230 people dying at a mosque from a suicide bombing in Egypt. Canada strongly condemns today’s bombing of a mosque in Egypt. Our thoughts are with the victims & all those injured in this heinous attack. Who Was Behind the Mosque Attack in Egypt's North Sinai? Who Was Behind the Mosque Attack in Egypt’s North Sinai?